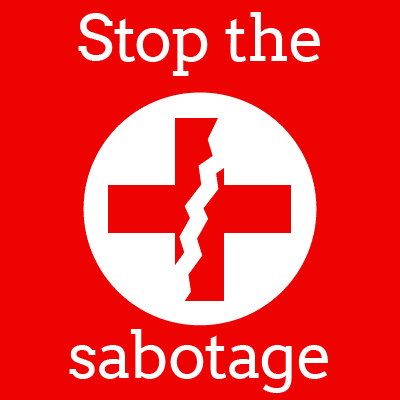 Sherry Brescia's Blog: Do you sabotage your health like this too? Do you sabotage your health like this too? Sadly, many people who suffer from health challenges eventually reach the point where they give up and accept illness as a way of life, feeling it’s “too late” for them. But it’s never, EVER too late to take measures to help improve your health, regardless of your age or how long you’ve been sick. No matter where you’re starting from, your body WILL benefit in some way from a healthier lifestyle--that is a certainty. And then prove them wrong. A few years later that “sub-par” running stride of mine carried me for 26.2 miles in the Empire State Marathon. If you allow excuses to enter your mind, you’re done before you start. There is no room for excuses when it comes to improving your health. I once heard a very true quote about excuses: We make time for the things that we want to make time for, and excuses for everything else. Don’t let that be your motto. If you’re ready to make a significant difference in your state of health, here is a very effective 3-step plan that will help turn things around for you. There's no two ways about it--the single most disease-preventing, health-enhancing and life-saving factor is A HEALTHY, NUTRITIOUS DIET OF REAL FOODS. If you eat a typical "modern diet" of processed food, fast food or refined carbs that are nutrient-poor, you can count on being sick or developing a serious disease--it's just a matter of time. You HAVE to eat the foods that give your body the nutrients it needs to fight sickness and disease, and encourage proper elimination of wastes. The Great Taste No Pain system can guide you in this important step. You’ll learn all the dangers of the typical modern diet, how to pair foods together for better digestion, and how to create luscious meals featuring delicious, nutritious foods. The typical habits many people have are murder on their immune system. Things like eating junk food, drinking soda, smoking, not getting enough sleep and taking medications (especially antibiotics) all destroy your beneficial gut flora. And since this is where the majority of your immune system is, that can leave you without some of its vital protection. But a high-quality, multi-strain probiotic like Super Shield can help turn that around for you. Super Shield contains 13 strains of well-studied, effective beneficial bacteria that are found in the human digestive tract. These good guys line the walls of your intestines like an army, ready to fight off illness and dangerous invaders. Plus, probiotics help your digestion along too...which can mean less gas, bloating, heartburn and other digestive troubles. The health benefits of regular exercise are practically limitless! Weight management: Regular physical activity helps to increase muscle mass and decrease body fat. High blood pressure prevention: Physical activity strengthens the heart and lungs which can help control and reduce blood pressure. Decreased cardiovascular disease risk: Physical activity strengthens the heart muscle, lowers resting heart rate and improves blood lipids (decreasing triglycerides and LDL and increasing HDL). Reduced cancer risk: Being overweight increases a person's risk of cancer, so physical activity can help reduce cancer risk by reducing weight. Decreased back pain: Exercise can increase muscle strength, endurance, flexibility and posture, all of which can help prevent back injuries and alleviate back pain. Lower risk of Type 2 diabetes: Regular physical activity can lead to decreases in blood glucose, insulin resistance and other health complications associated with Type 2 diabetes, as well as helps maintain a healthy bodyweight. Optimized bone mass: Weight-bearing physical activity can encourage bone formation and slow the progression of bone loss. Better mental health: Regular exercise is a natural stress reducer, can help improve mood and reduce depression and anxiety, and encourage more restful sleep. Now remember, no excuses are allowed! Get your doctor’s blessing and get going. You CAN make a difference and help stop illness from taking its toll on you. It's NEVER too late to improve your health. We appreciate your feedback and continuous support, Jack. Have a wonderful day! We appreciate your feedback, Linda. With Great Taste No Pain and Super Shield, you are certainly off to a good start. As Sherry stated, incorporating exercise into your daily routine will help to maximize your results. You can do it! Have a wonderful day.